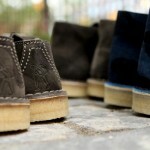 For Fall/Winter 2012, Clarks Originals returns to its military origins – who knew? 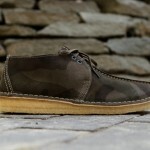 – with the release of a camouflage collection. 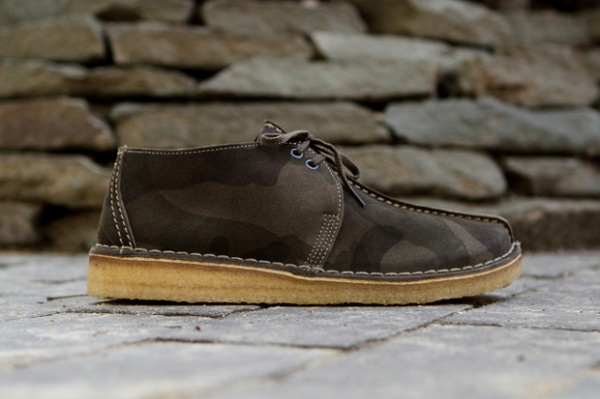 Consisting of the Desert Boot and Desert Trek Chukka silhouettes, the two army-based models are offered in both navy and green camouflage suede colorways. The Desert Boot keeps the signature crepe sole for comfort, while contrast stitching adds a much-needed contrast to the subtle blue camouflage uppers. 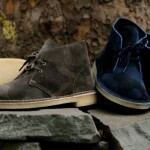 Meanwhile, the Desert Trek Chukka features a classic low-cut upper. Both options are available now at Kith NYC stores and online at KithNYC’s Online Shop.